Do you need to change your website? Have you changed your website lately? Even if you haven’t you might be thinking you need to. After all, almost everywhere you look these days there are cosmetic changes to popular websites and alterations to functions of sites with new apps an items being added on a daily basis. But is it all necessary? Do you actually need to spend time and money on changing your website? Take Facebook, for instance. It is in the midst of changing its popular “Like” logo. Why? To make it prettier and more modern, perhaps. But do they need to spend the money doing this? A recent survey suggests it might be a waste of cash considering that eight out of ten people recognise and are familiar with the existing logo. Meanwhile, Netflix is planning to change its navigation system whilst another survey shows that the existing navigation is deemed to be easy by almost every user. And over at Amazon the company is planning to arrange delivery by drone “octocopters” to speed up delivery so that you could get your goods within 30 minutes of ordering. Yet, a survey shows that 96% of Amazon customers are already happy with delivery deadlines. Are these examples of companies failing to truly understand their customers? After all there are examples of websites supposedly “improving” things for customers, only to discover that “improvement” is not liked, as it seems is the recent change to the commenting system on Google’s YouTube. Six out of ten people prefer the old system of commenting. Surely if Google had truly understood its customers it would have not made the change, you might think. However, sometimes there is another reason for changing. After all, there have been many changes online that people have objected to and disliked only to get used to them and see them as normal. Humans don’t like change, we prefer consistency and regularity; change upsets us. 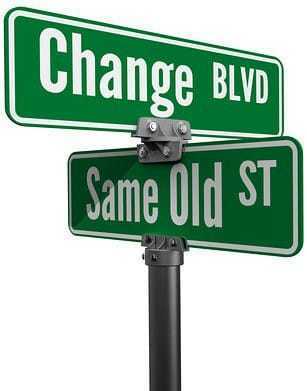 Yet once that change has happened it becomes our new “normal” which we do not want changed. One of the reasons that websites like YouTube, Netflix, Amazon and Facebook make changes is to signal that they are changing. That’s it. It is a sign that the company is at the “leading edge”, that it is developing, thinking of new things and coming up with different ideas. And that is also important psychologically. We don’t like companies that have appeared to stagnate, that do the same old things, the same old way. We are always interested in the “new and shiny”; that too is part of our natural desire to seek out new things because ultimately they may well help with our survival as a species. Our brains dislike “old” because that is equated with low survival. New “means” good, as far as our “primitive brain” is concerned. So when we see companies doing “new” things they become more attractive. Hence the changes to websites might annoy people on the one hand, yet unconsciously our brain is telling us it is good. And that’s why we eventually get used to the change. So, you might not think you need to change your website or add new things to it. But if you don’t you will stagnate in the view of your visitor. Change for change sake has a positive side, which is why the likes of Amazon, Facebook. YouTube and Netflix will ignore those surveys saying people don’t want or need the changes they are proposing. Deep down those same people who don’t want the change, actually like the companies who make changes. That means if you haven’t changed or added new features to your website in a while, it could well be time to do something – just for the sake of doing it and signalling that you too are at the leading edge.